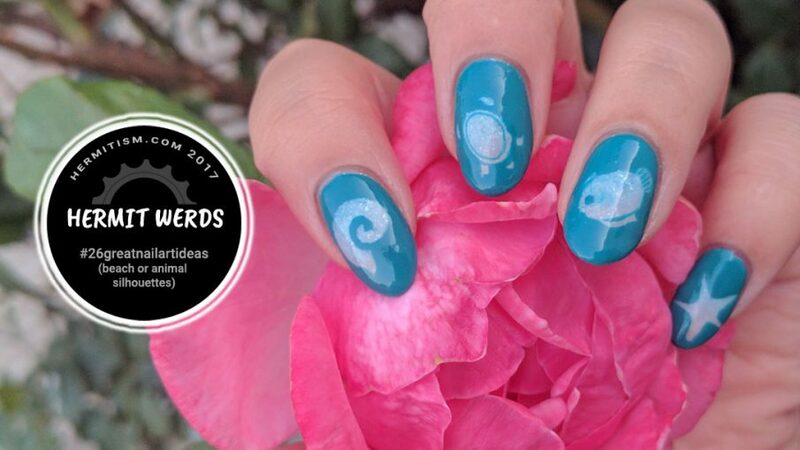 The theme for this 26 Great Nail Art Ideas was beach or animal silhouettes. My brain immediately turned ‘or’ into ‘and’. Challenge accepted. I took my stampings and carefully removed most of the details to get a very basic shape. Then I colored on the outside instead of the inside and stuck them on top of a sand to water-looking gradient. 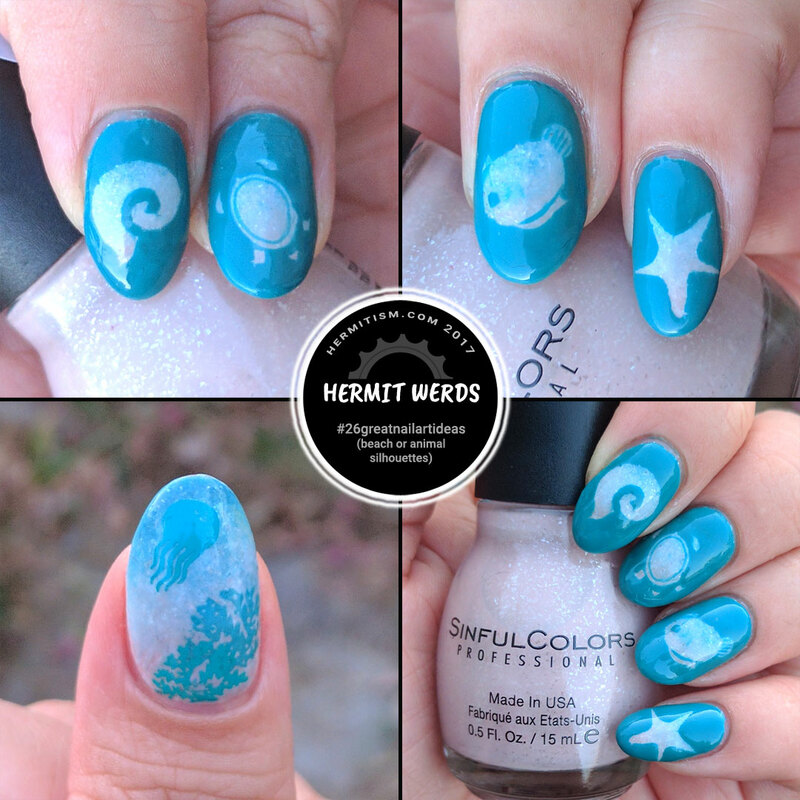 Then I gazed at the thumb I hadn’t planned on doing this time, sighed, and threw some coral and jellyfish stamps on it. Because why not jellyfish whenever possible? Now this could have been done more easily with vinyls, but I don’t own any. So this is the fiddly alternative if you don’t have them. I ruined several stampings trying to remove the details and had to start over. Plus the finish ended up being a little lumpy because the Insta-dri polish dried really quickly. “Re-teal Therapy” is also not a great stamping polish. I ended up going over the lines as I was filling the decals in so they wouldn’t be lighter than everything else. My hands wouldn’t stop shaking either. Stupid hands. :p But I like the look and I will use this technique again someday. These are lovely! 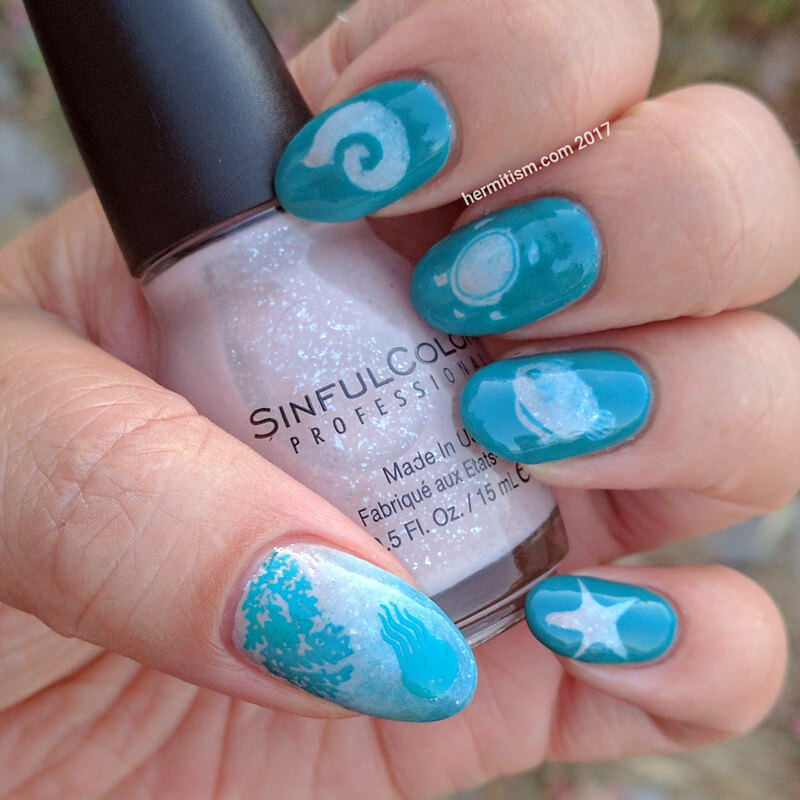 I love how it almost feels like we are looking through the teal polish at the image below- it gives a neat underwater effect to the mani.